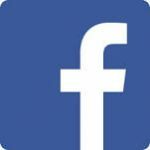 We are a branch of Ontario Ancestors, the Ontario Genealogical Society, an Ontario registered not-for-profit corporation, and a Canadian registered charity. We hope you find our site to be informative. Contact us if we can be of assistance. To join our branch you need to join Ontario Ancestors, OGS and then select our branch. See Branch Info tab for further details. 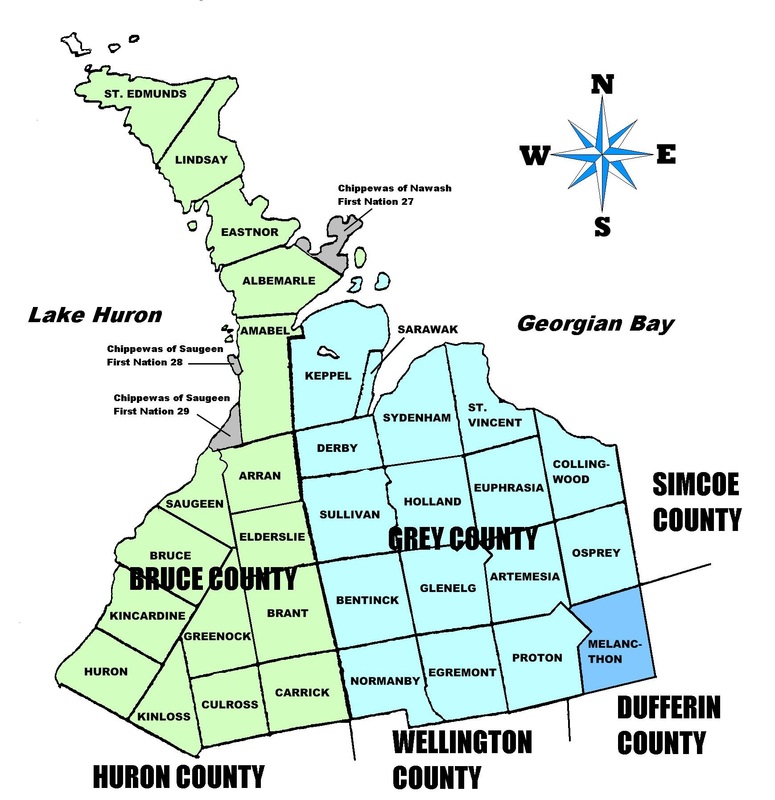 Bruce and Grey Branch of Ontario Ancestors encompasses the two Counties of Bruce and Grey, which are located in the most northerly area of southwestern Ontario. BGOGS’ goal is to promote genealogical interest with special emphasis in Bruce and Grey Counties. With members from not only Bruce and Grey Counties, but all over the world, BGOGS is well known for its genealogical networking through meetings, informative newsletters, varied publications for sale and helpful query editors specializing in each county. We welcome all who are interested in the pursuit of their family roots. 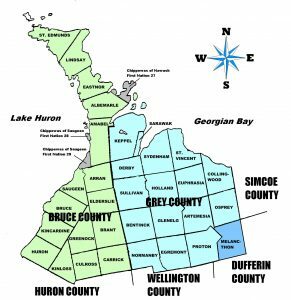 Bruce and Grey Branch of Ontario Ancestors, Ontario Genealogical Society had its origin on March 20, 1970 when a group of 12 people met at the home of Audrey & Bazil Underwood in Port Elgin. This small group formed the basis for what became known as the Bruce Branch of the Ontario Genealogical Society. The Ontario Genealogical Society granted branch status to the group for the year starting 1971. In the next few years, it was found that there were many genealogical ties in neighbouring Grey County. Many early families moved freely back and forth between Bruce and Grey Counties, and many Bruce Branch members had ancestors in both areas. Thus, in 1977, the Bruce Branch became Bruce and Grey Branch of the Ontario Genealogical Society, officially encompassing the area of both counties. Thank you for taking the time to show interest in our organization. Check out the Events tab and Calendar for upcoming events, dates / times and descriptions. We encourage you to attend as we are sure you will be both entertained and informed. Many of our events have helped people with queries or timely information in their genealogical quests. Our events cover a wide range of topics. come join us and see what all the buzz is about. Should have any questions please feel free to email us, we will be happy to answer them or put in touch with those who can.